Policies for Folders, Inserters / Sealers & More - PaperFolder Co. The PaperFolder Co. is located in Michigan, so products shipped to an address in Michigan are subject to sales tax of 6%. We do not charge sales tax on shipments to any other state. Purchasers in other countries are responsible for the taxes imposed by their governments. They would be due upon release from customs in the destination country. We use your information only to process the order. We do not share that information with any other person or company. We may contact you from time to time by email, and you will have the option to opt out of any further email contacts not relating to an order. Domestic and Canadian orders are shipped UPS or FedEx ground unless you request and pay for a faster method. Some products have free shipping, which is by UPS or FedEx ground to addresses in the 48 states only. All products are normally in stock and ship the day of or the next business day following the order. A tracking number will be emailed to you after it has shipped. We ship to many countries. Call us for a quote. We use a variety of carriers for international shipments and prefer to use your account if possible. 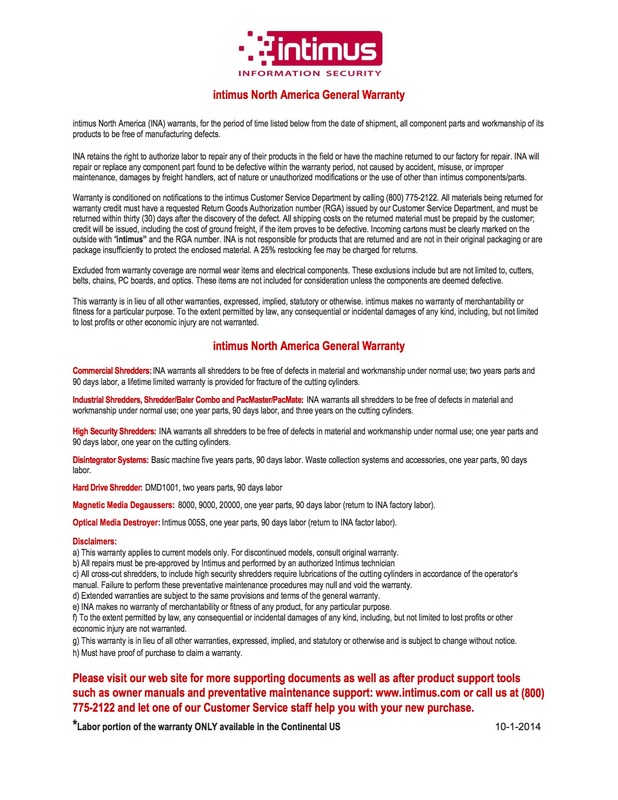 All products sold carry a warranty that is given by the manufacturer of the product. 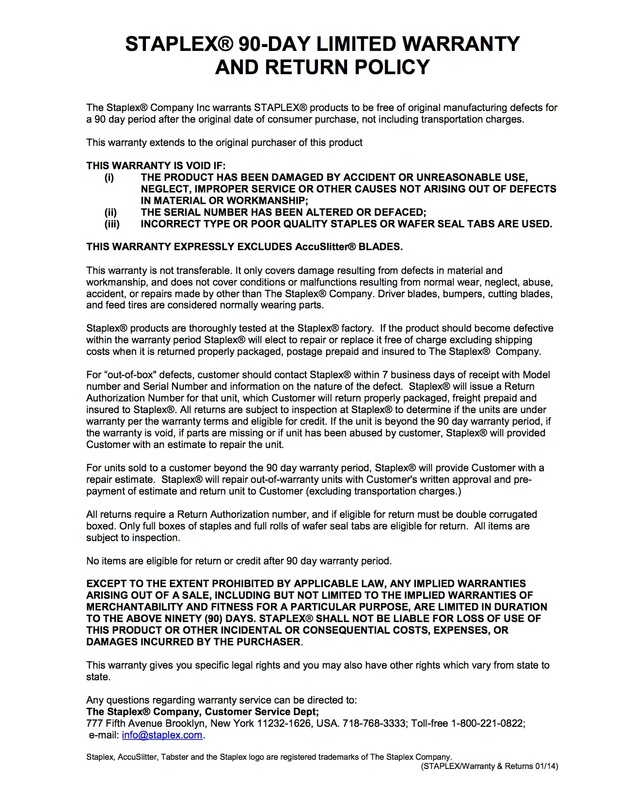 The PaperFolder Company does not offer a separate warranty on any product. 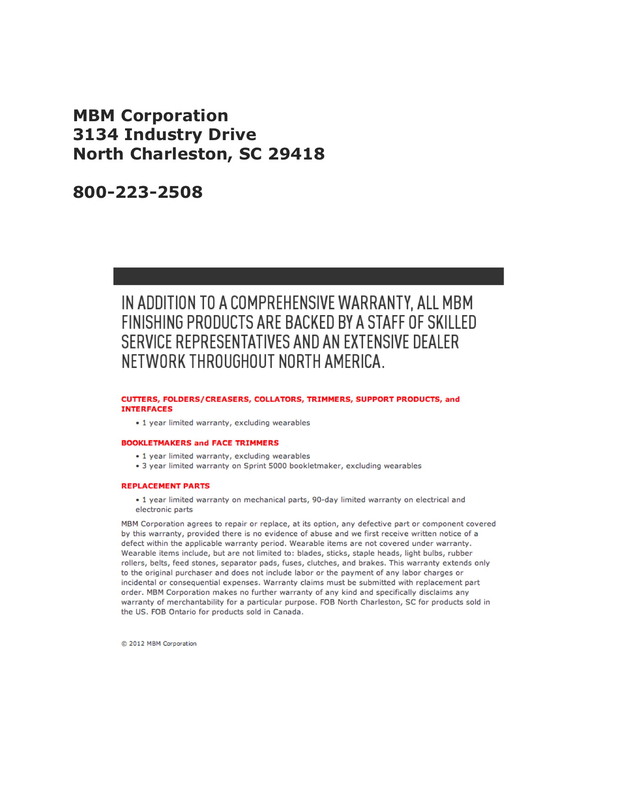 The manufacturer or distributor warranty is the exclusive remedy for any problems or defects that arise. An owner’s manual ships with each product. Further information can be found there. 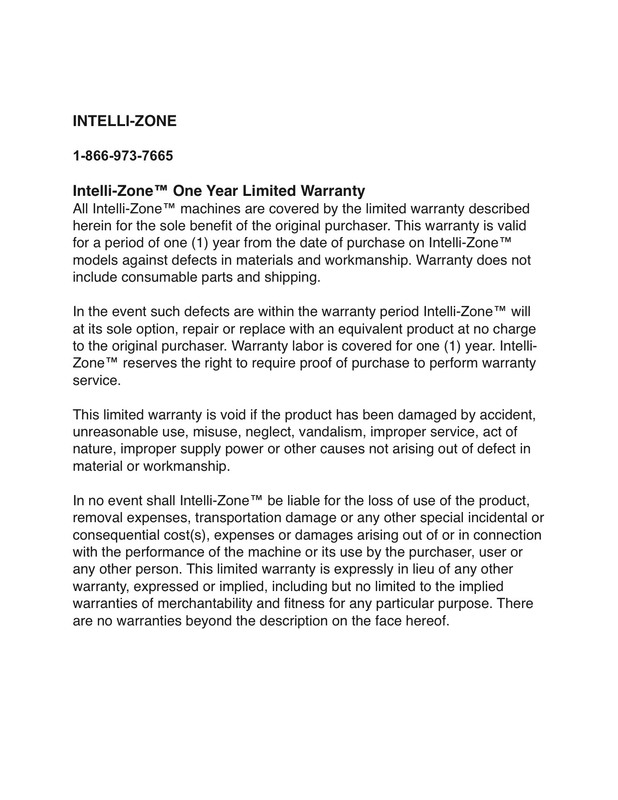 The manufacturer warranties appear below. Click to open. Please call us if you have any questions. Some manufacturers do not allow for returns. 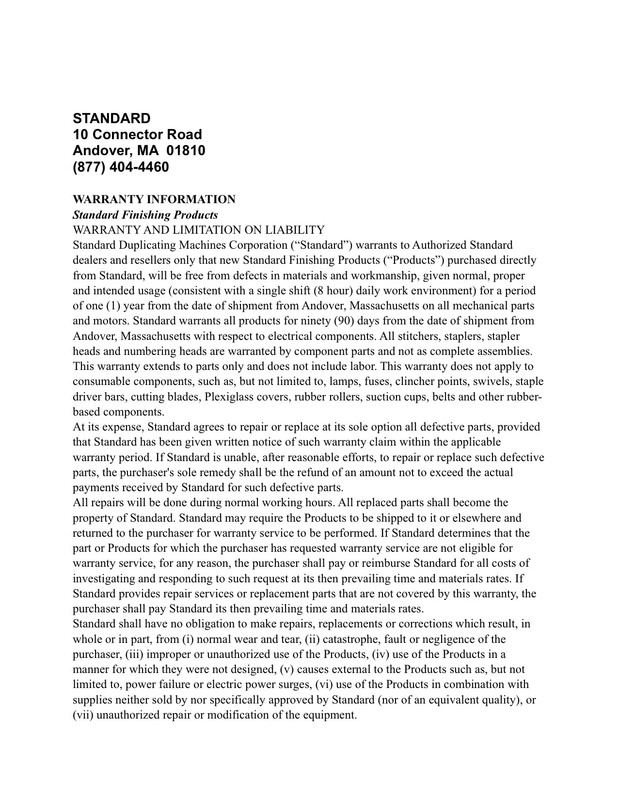 Formax and Standard products cannot be returned. They will be serviced under their respective 90 day warranties. Please call or email if you have any questions. Other products can be returned within 30 days of delivery if unopened and unused. All returns will be charged for freight costs, including orders in which shipping was included in the price. A restocking fee may be charged as set forth below. Opened or partially used merchandise will not be accepted. All returns must receive a Return Merchandise Authorization ("RMA") number which will be effective for 7 days. Boxes without a RMA on the shipping label will not be accepted. Call 800-520-6008 for returns. Products must be in original packaging (include a copy of the invoice) and be returned freight prepaid to the PaperFolder Co., 7340 Park Lake Drive, Dexter, MI 48130 or other address that we provide to you. We inspect all returns. It is your responsibility to return products undamaged, except what's noted or reported to us. Please see "Packaging Returns" below. All freight expenses incurred must be prepaid by the customer. We recommend that you insure packages that are returned to us. After inspection and acceptance, returns may be subject to a restocking fee. No credit will be issued on freight, handling charges or special fees. All returned products that are not in accord with these policies will be returned to the customer, freight collect, or held for a customer issued call tag at our sole discretion. We will not be responsible for unclaimed product left over 45 days. If you receive an incorrect item, the PaperFolder Co. will replace the item at no cost to you. To receive a replacement or refund, the incorrect or damaged item must be returned in its original carton as stated above. If your order is correct and not damaged, but you are not satisfied with your purchase, the PaperFolder Co. will issue you a refund less a 20% restocking fee, but only if the product has not been used. Returns must be in their original condition and carton with all materials that came with the item. The shipping carton should not be marked other than to apply a shipping label. Shipment back to us is at your cost and liability. If the item being returned is damaged, the cost of the damage will be deducted from your refund. You are also responsible for all freight costs. If you have ordered the wrong item and plan on ordering a different replacement item that is of equal or greater value, the PaperFolder Co. will issue you a refund less a 15% restocking fee, but only if the product has not been used. Returns must be in their original condition and carton. If the item being returned is damaged, the cost of the damage will be deducted from your refund. You are also responsible for all freight costs. We are unable to exchange or accept returns for any reason on items more than 30 days after they have been delivered. Products cannot be accepted if their original boxes are marked, damaged, written upon, or stickers or labels of any type placed upon them. We recommend that you return them in a rigid cardboard enclosing box. Do not exceed the maximum gross weight generally printed on the bottom flap of the box. Two inches of packing material must be on ALL sides of the shipping article including the top and bottom. Machines must be secured within the box. Any loose items must be wrapped separately to avoid damage to each other or the machine. You are responsible for return of these items, so we recommend that you insure them for the value paid. If there is loss or damage during shipment, it will be your responsibility. For packing materials, use foam, bubble wrap, crumpled paper, enough to insure that the contents will not easily move. Heavy items must have very substantial packaging. All must be securely taped in strong corrugated boxes. Use one address on the box. the RMA number must also be on the box. Include a copy of your invoice inside the box. If you have a problem with your purchase, call us. Customers who arbitrarily initiate a credit card chargeback against The PaperFolder Co. will receive a chargeback fee in the amount of $25. This fee is to cover costs of the customer's chargeback actions. 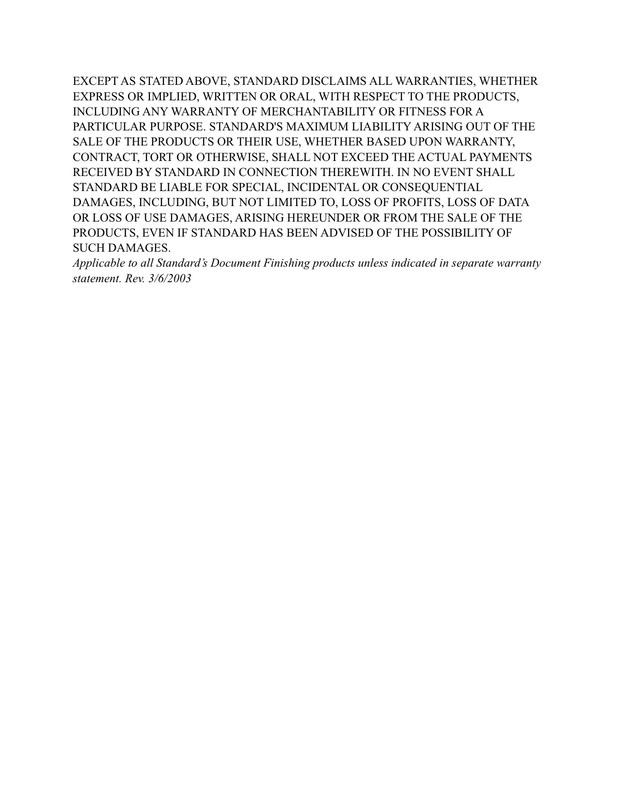 It will be invoiced to the customer along with any applicable restocking or legal fees. Any damaged items found at the time of Delivery should be refused. If you accept an item that was obviously damaged in shipment, the loss will be your responsibility. If after receiving an item that did not have external damage, you find it to be damaged when unpacked, please call us at 800-520-6008 within 48 hours of delivery. We will determine if the damage was shipping related, and arrange for a replacement. We will contact the shipping company for instructions on how to proceed if it is shipping related. If you use the product without contacting us at the time of unpacking, we will not be responsible for the damage that should have been observed then. 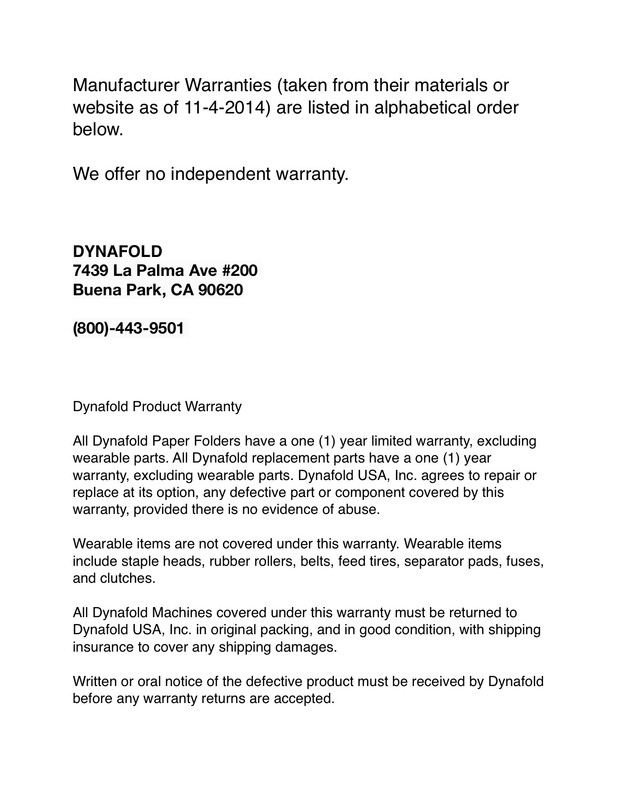 A replacement order cannot be shipped until a claim has been filed with the carrier. In the event that the order was shipped via truck and the bill of lading was signed for by the customer with no indication of damage, a replacement order will not be shipped until the claim has been finalized. If a replacement order is needed before that time your credit card will be charged as a new order in order to ship the replacement order out. Once the claim has been resolved, a credit will be issued to the original invoice. We will try to cancel your order as quickly as possible after receiving notice from you. You will be responsible for any costs incurred up to the point where your order can be cancelled. These costs may include shipping, restocking and other fees. There are no cancellations of custom or special orders.